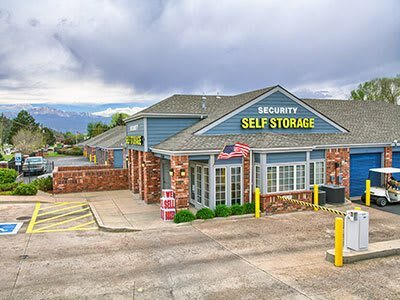 Security Self-Storage near Fort Carson. Self storage consultants, moving specialist—and your Colorado Springs and Fort Carson neighborhood friends. Outside of the north gates of Fort Carson, you will find Security Self-Storage at 121 E. Old Broadmoor Rd. 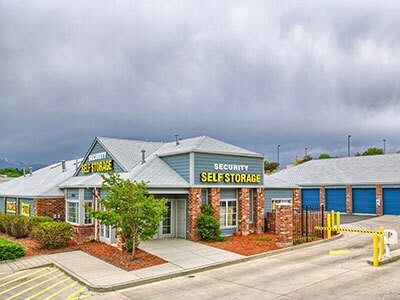 At this location, you'll discover some of the friendliest managers, not only in Colorado Springs, but the self storage industry. These managers will help you find a storage unit; give you advice on packing and moving; and are able to provide you with a variety of packing supplies to get you moving and on your way. Ask about our MILITARY discounts and specials. 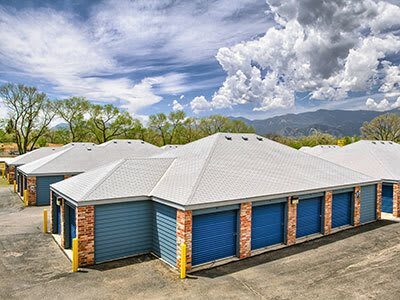 As one of our newest Security Self-Storage locations, our Security Self-Storage near Fort Carson location has plenty of self storage space for your storage needs, to include a variety of temperature controlled stored spaces for the customers that desire that type of self storage.